And when I say ‘she’, I’m referring to myself. And by ‘you’, I mean this mascara. I’m a sucker for trialing new beauty products to find my “number one” of every make up bag essential – even if I already own ‘number one’, I constantly strive for something better. 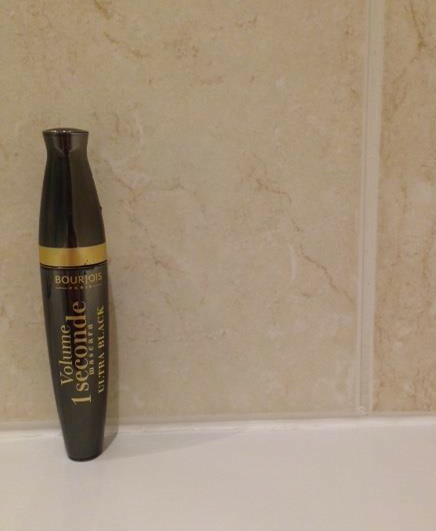 I was initially sold from the moment I picked this Bourjois product up off of the shelf. While the tube is curvaceous, the 360 volumising capabilities were what really sold me. Paying £10 for the new release, I was sure it would do the job (aka. make my lashes look a million dollars) but it just didn’t live up to its description. Even with the thick brush surface area, lashes easily clump together – while the ultra black substance has a similar appearance to your bog-standard, black high street mascara (in my eyes). And worst of all – half way through the day lashes become… flaky. A girls worst nightmare. And so, the quest for my ‘number one’ mascara continues.